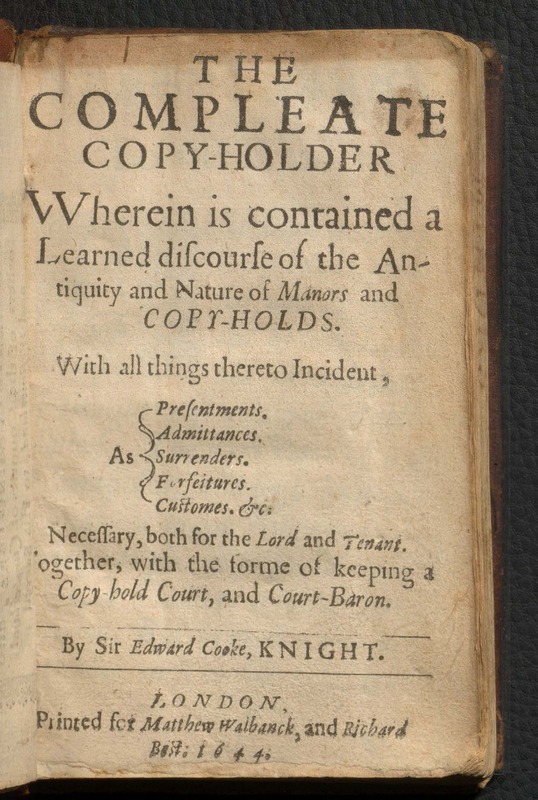 The compleate copy-holder, wherein is contained a learned discourse of the antiquity and nature of manors and copy-holds … Necessary, both for the Lord and Tenant: Together, with the form of keeping a Copy-hold Court and Court-Baron / Edward Coke, 1644. 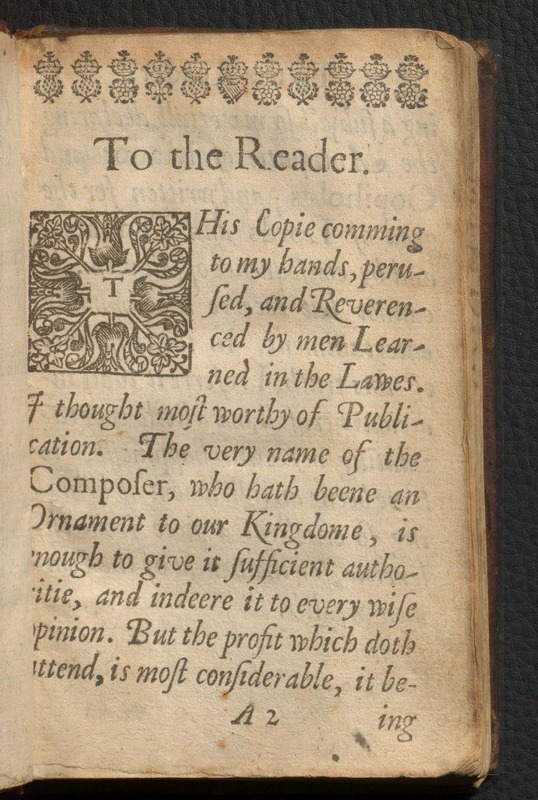 Do not be deceived by the title of this book authored by nobody else but famous, Sir Edward Coke (1552 – 1634). It has nothing to do with copies as we understand them now. According to Britannica, “copyhold, in English law, a form of landholding defined as a ‘holding at the will of the lord according to the custom of the manor.’ Its origin is found in the occupation by villeins, or nonfreemen, of portions of land belonging to the manor of the feudal lord. In 1926 all copyhold land became freehold land, though the lords of manors retained mineral and sporting rights.” Until 1926, manors themselves were freehold property, and were bought and sold between major landowners, while smaller landholdings within manors were held by copyhold tenure, while the land was technically owned by the Lord of the Manor. The term ‘copyhold’ originates from the custom when the official record of the copyhold on landholding was written up in the manorial court rolls and an official copy of the court roll entry was made for the tenant as their proof of title. This particular copy is especially interesting because printers’ waste (unused pages printed for other book) have been used as end papers. 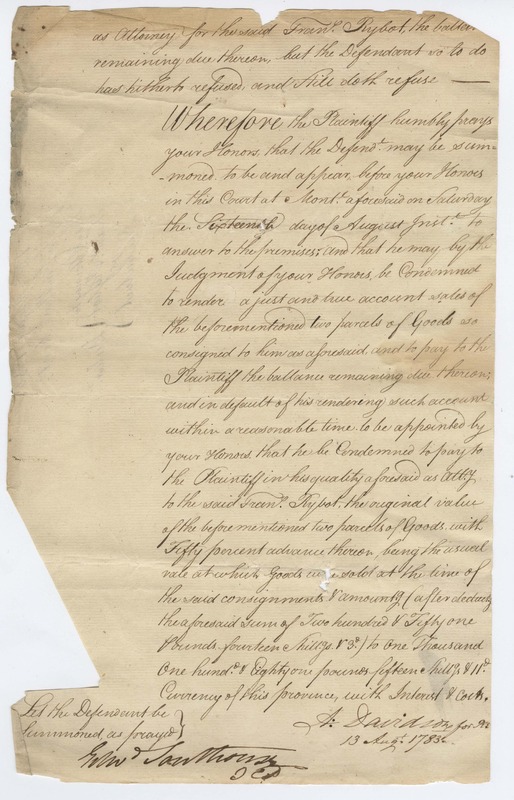 Collection of legal documents relating to a lawsuit by Francis Rybot against Pierre DuCalvet, in the Court of Common Pleas, Province of Quebec, District of Montreal, 1783-1786. 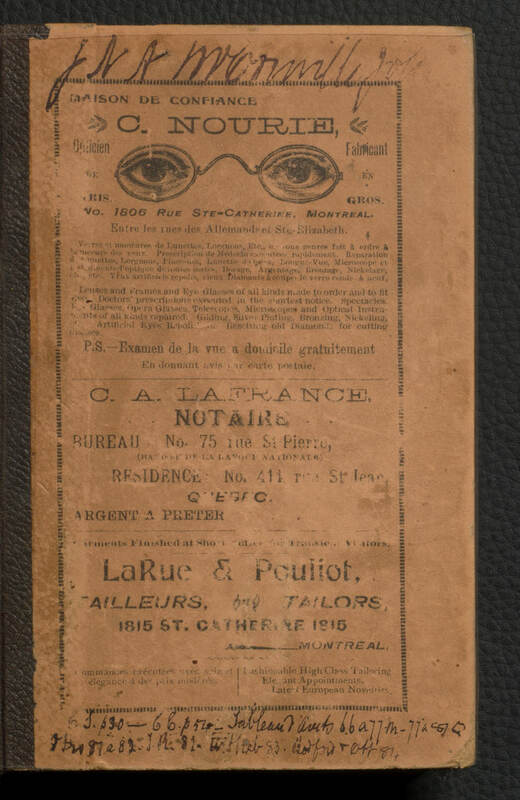 This uninviting title is in fact an illustration to a less-known episode of the life of one of the famous figures of the Québec history. The digitised manuscript documents are related to the court case against Pierre DuCalvet, who was a Montreal trader, justice of the peace, epistle writer, author of the famous Appel à la justice de l’État, and passionate advocate of the reform of justice and constitutional system in Québec. The full biography of Pierre DuCalvet can be found in the Dictionary of Canadian Biography. 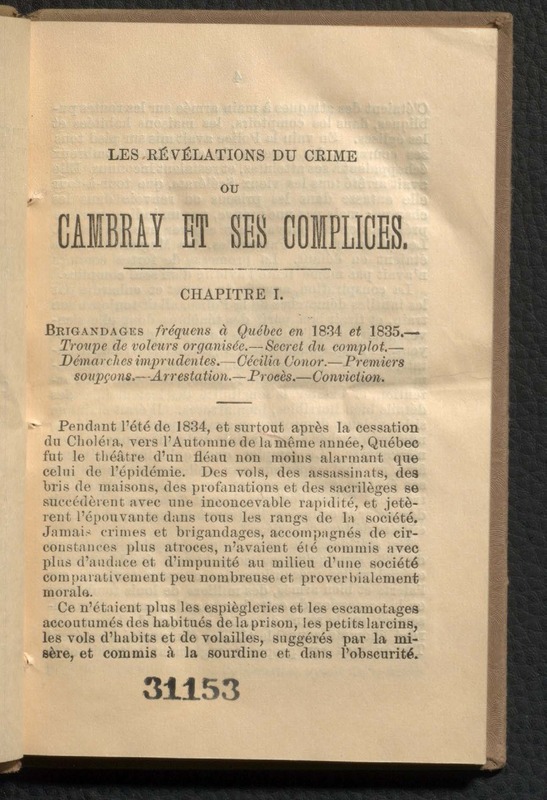 Les revélations du crime: ou, Cambray et ses complices; Chroniques canadiennes de 1834 / Réal F. Angers, 1880. Ce livre est le récit romancé des méfaits, vols, sacrilèges et meurtres d’une bande de brigands qui a terrorisé la ville de Québec et ses environs de 1834 à 1837. Vous pouvez trouver plus d’information sur la bande des Chambers ici. 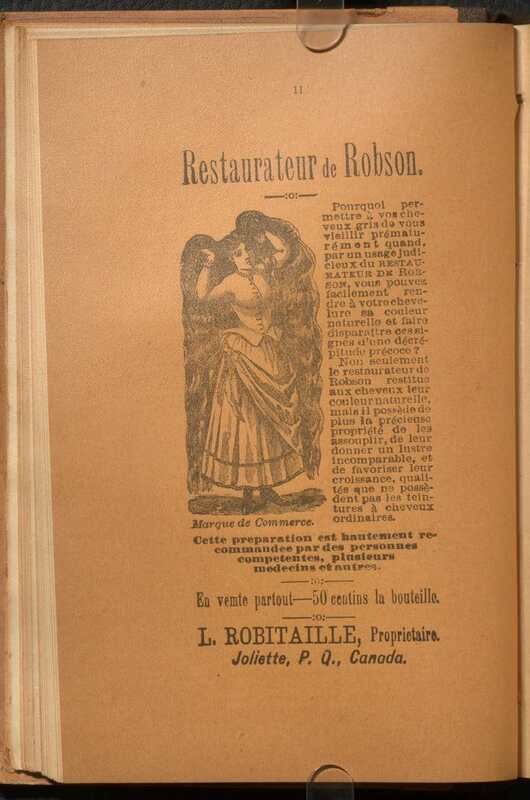 According to the Dictionary of Canadian Biography, this work by François-Réal Angers was considered “one of the most readable and widely circulated books of the first half of the 19th century in Canada.” It was published in several monograph editions in 1834, 1867, 1880, and 1969, serialised in at least three newspapers, and translated into English in 1867 as The Canadian brigands; an intensely exciting story of crime in Quebec, thirty years ago! A declaration of His Majesties royall pleasure, in what sort he thinketh fit to enlarge or reserve himself in matter of bountie / James I, King of England, 1897. 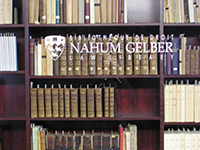 This book is a facsimile reprint produced by the British Museum in 1897. The original was published in 1610. 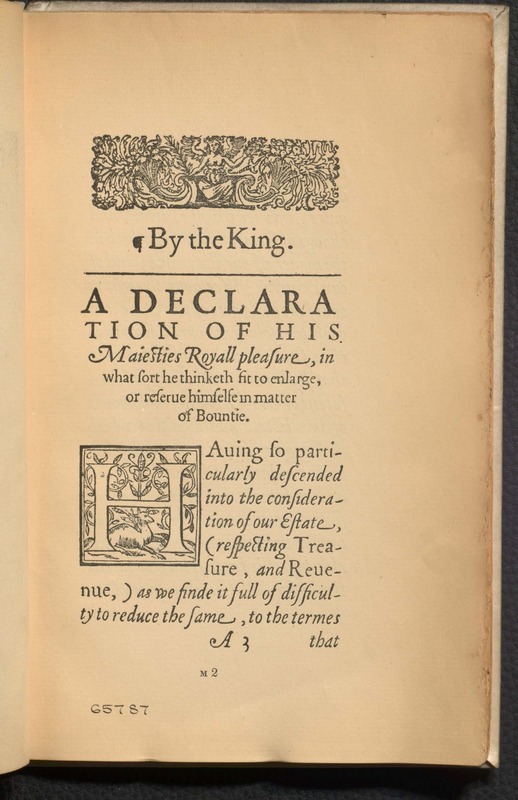 This declaration was issued by James I (1603-1625) as a clarifying statement concerning granting of monopolies following the grievances expressed in and by Parliament. The culmination of this discussion was adoption of the Statute of Monopolies 1624, 21 Jac 1, c 3, one of the key texts in the history of patent law. 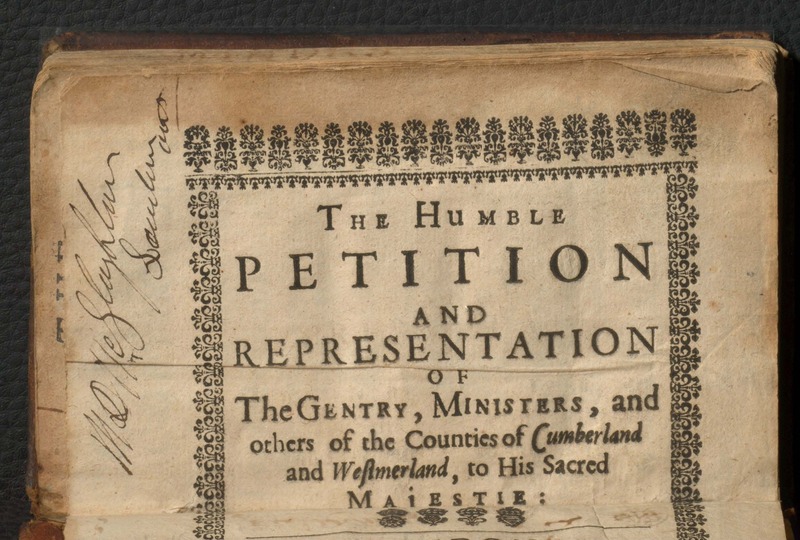 You can read more on the 1624 Statute of Monopolies in this article ‘Generally Inconvenient’: The 1624 Statute of Monopolies as Political Compromise. 33 Melb U L Rev 415 (2009). A letter to Henry Warburton, Esq. M.P. 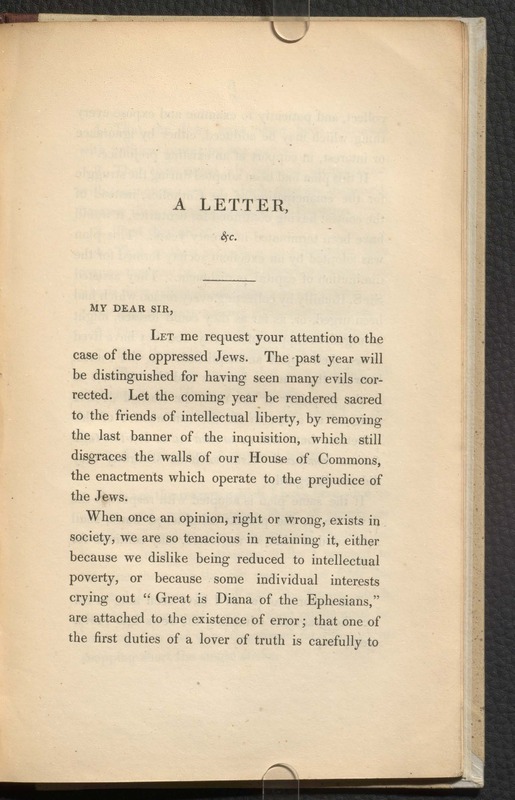 upon the emancipation of the Jews / Basil Montagu, 1833. 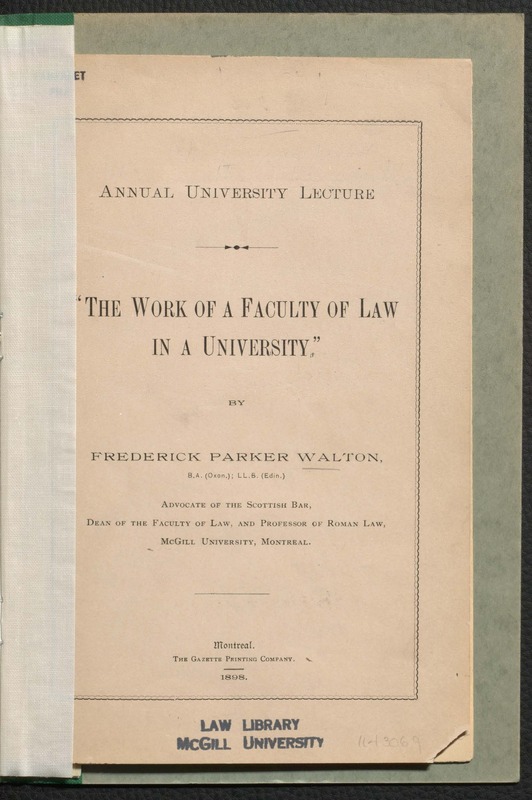 The work of a faculty of law in a university (An annual university lecture delivered by Frederick Parker Walton, the Dean of the Faculty of Law, and Professor of Roman Law at McGill University), 1898. 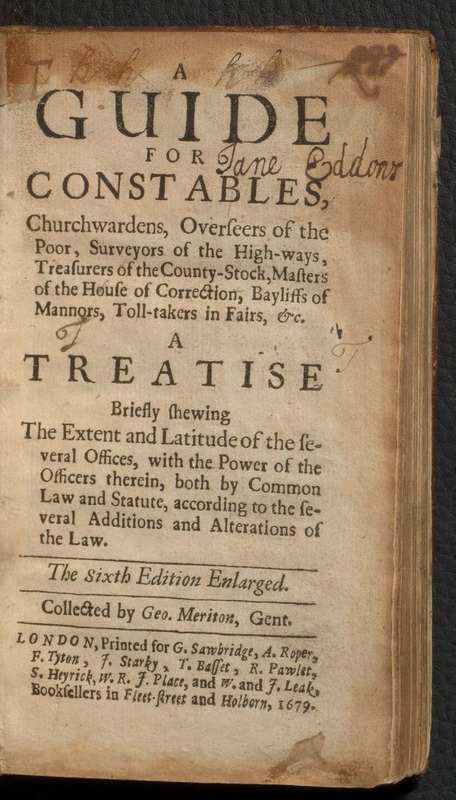 A guide for constables, churchwardens, overseers of the poor, surveyors of the high-ways, treasurers of the county-stock, masters of the house of correction, bayliffs of mannors, toll-takers in fairs, &c. A treatise briefly shewing the extent and latitude of the several offices, with the power of the officers therein, both by common law and statute, according to the several additions and alterations of the law / George Meriton, 1679. Index professionnel des avocats, notaires, protonotaires régistrateurs, shérifs, huissiers, médecins, pharmaciens, dentistes, architectes, arpenteurs, ingénieurs civils, et médecins vétérinaires de la province de Québec, 1894.